Made in China, this insulared bag is a dark blue color with colorful cherry blossoms in yellow, blue and red along with adorable Japanese lucky cats, also known as maneki nekos, giving a cute smile. With a zipper at the top of the insulated bag, this small freezer tote is perfect for storing cold or hot foods for a short period of time. 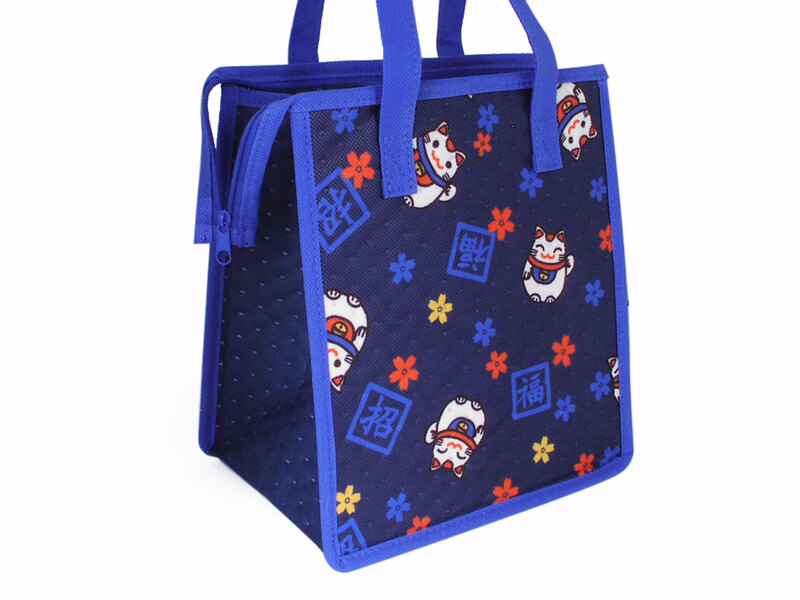 Store your lunch or even frozen foods from the market in this adorable and compact insulated bag.